The Doctor has landed in a whole new place. We’re not talking about a new alien world or some gorgeous future cityscape. We’re not even talking about an iconic moment from the past. No, we’re talking about something far more exciting than all of those things. We’re talking about Sheffield. The BBC has released two new images from Doctor Who’s eleventh season, starring Jodie Whittaker as the new incarnation of the world’s best Time Lord. 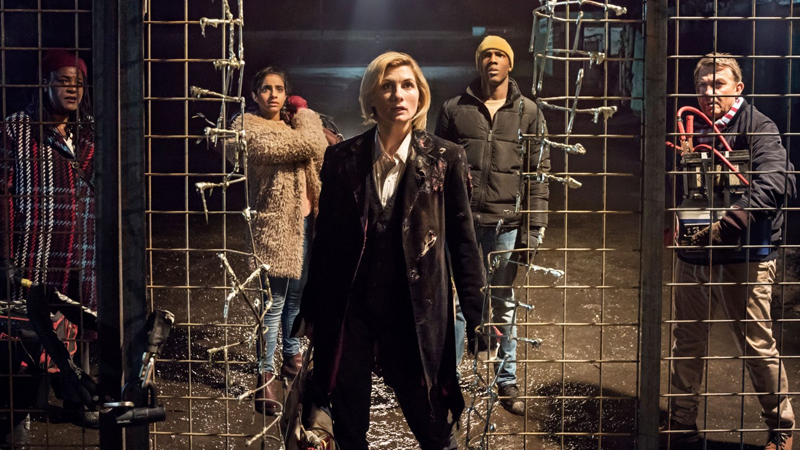 Presumably, they’re both from the premiere episode, titled “The Woman Who Fell to Earth,” given that the new Doctor is still wearing the clothes of her predecessor. Previous images have featured the new costume. Given that this is an American website, I’m probably gonna have to explain myself a bit here. But to put it simply, Sheffield—aside from being a major city in South Yorkshire, a northern county in the UK—isn’t London. Which is basically where 99 percent of interesting Earth-based things have happened in Doctor Who since it returned in 2005. Most of the companions are from London (Amy and Rory weren’t, at least initially, but they moved there!). Aliens have invaded the UK’s capital time and time again, marching, hovering, and in the case of the Daleks, gliding through iconic locations in the city we’ve seen zillions of times before. Doctor Who’s window into the UK has been, outside of a trip to Cardiff that one time, primarily London-centric. Which gets a bit dull after 13 years of phone box travel in time and space! But now at least we’re getting something a bit different (right down to everyone’s accents, including the Doctor’s), and the Doctor is getting some new best friends who aren’t Londoners for once. She’s expanding her horizons! As a Brit who is not a Londoner, and therefore comically biased against things from “down south” for no reason in particular, this is delightful news. The tyrannical grip London had on Doctor Who events is finally over. Long may Sheffield reign. Doctor Who, which will also star Bradley Walsh, Mandip Gill, and Tosin Cole this season, heads north October 7.